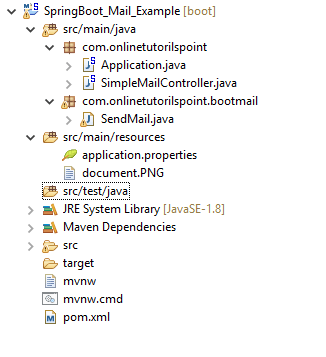 In this tutorial, I am going to show how to send mail with Spring Boot rest service. Here I am going to implement a Simple Spring Boot Example to send a mail and also to send attachments through the mail. Note: The password mentioned above is an app-specific password, you should have to generate your application password from google here. And you should specify the generated password on the above configurations. For more details on Gmail SMTP go through this document. If everything went well, you should have to see the Mail Sent Success! Message on your browser. Then check your mail inbox to confirm. We can also send the email with attachments like below. Add the below method to Controller and run the application. Use the MimeMessageHelper(MimeMessage mimeMessage, boolean multipart) to enable multipart mode. Note: To make this example as simple, I am reading the attachment from the classpath resource. The real-time use case might be upload a document from the client (Browser) by using file upload functionality. I have discussed how to upload files from spring boot in previous tutorials. You can integrate these two examples and make it as a real-time scenario.